Sathyabama University was entrenched during the year 1987 as Sathyabama Engineering College in Chennai location. The private university is a Christian minority institute and is recognized by University Grants Commission. The institute was granted with Deemed University status by Ministry of HRD, Government of India. Sathyabama University offers courses approved by AICTE, New Delhi and accredited by NAAC. Sathyabama University is spread across 300 acres of lush green campus along with state of art infrastructure. 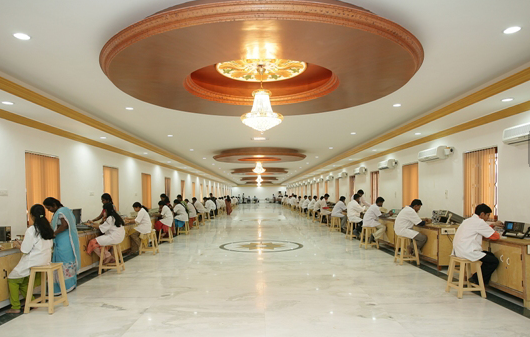 Sathyabama University has latest facilities such as library, labs, medical care, transport, sports and hostel. Sathyabama University is been awarded with AAA+ rank by Career 360 among the top institute in the state. Sathyabama University encourages students to take an active part in extra-curricular and co-curricular activities like fests, events, seminars, conferences etc. The university has cultural committee which organizes the cultural activities and events. The institute also organizes various curricular activities for the participants and there will be frequent seminars. The university also plays a vital role in developing the students over all personality in every possible way through academics well as extra-curricular. Sathyabama University is located close to various attractions like Mayajaal Multiplex, MGM Dizzee World Amusement Park, VGP Golden Beach Resorts, Crocodile Bank Beach and many such entertaining places close by for an individual to spare some quality time. The developed Placement cell of Sathyabama University incessantly monitors the employment prospects available in numerous provinces and assembles the campus interviews for the qualified students both at UG and PG level. The university has state-of-the-art placement cell infrastructure which comprises of GD Panel Room, Auditorium, Conference Hall and Closed Interview Panels. The whole facility is planned keeping in mind to safeguard that both recruiters and students have a contented employment experience. The university provides accommodation facility for the students inside the campus. The university has 2 separate hostels for boys and girls each. The hostel rooms are very spacious and have separate attached bathrooms for both girls and boys. Iam like to join in this academic year as part time? Interested to join the mba? my city is portblair and will admission in msc mathematics? what is total fee structure along hostel and tution in satyabama university? Fees for hostel is approximately INR 60000/- to INR 65000/- per annum. Hi can I know the details about MBA course and I have not attended cat or tancet. So how will I join in your institutions? Admission in Sathyabama University Chennai For Mba will be through an Entrance exam conducted by the institute. For appearing entrance exam candidate need to fill the online application form by visiting the college website. I have got 52 marks in Jee main exam can I have eligibility to join in your college .? Sathyabama University Chennai B.TECH admissions are done through common entrance exam conducted by The university at all India level. 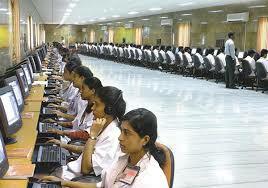 Are you Interested inSathyabama University Chennai"? Please provide the following details.